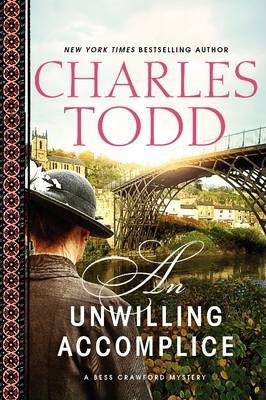 World War I Battlefield nurse Bess Crawford's career is in jeopardy when a murder is committed on her watch, in this absorbing and atmospheric historical mystery from New York Times bestselling author Charles Todd. Home on leave, Bess Crawford is asked to accompany a wounded soldier confined to a wheelchair to Buckingham Palace, where he's to be decorated by the King. The next morning when Bess goes to collect Wilkins, he has vanished. Both the Army and the nursing service hold Bess negligent for losing the war hero, and there will be an inquiry. Then comes disturbing word from the Shropshire police, complicating the already difficult situation: Wilkins has been spotted, and he's killed a man. If Bess is to save her own reputation, she must find Wilkins and uncover the truth. But the elusive soldier has disappeared again and even the Shropshire police have lost him. Suddenly, the moral implications of what has happened-that a patient in her charge has committed murder-become more important to Bess than her own future. She's going to solve this mysterious puzzle, but righting an injustice and saving her honor may just cost Bess her life. Though she is certain she's never met or nursed Sergeant Jason Wilkins, she cannot refuse the honor. Heavily bandaged and confined to a wheelchair, the soldier will be in her care for barely a day. But on the morning after the ceremony when Bess goes to collect her charge for his return journey, she finds the room empty. How could such a severely wounded man simply vanish without a trace? Both the Army and the Nursing Service hold Bess to blame for losing the war hero. There is a humiliating inquiry, and the incident is noted in her record. More disturbing news complicates her already difficult situation: The Army now considers Wilkins a deserter, and Scotland Yard questions her when Wilkins is suspected of killing a man in cold blood. If Bess is to clear her name and return to duty in France, she must prove that she was never his accomplice. But the sergeant has disappeared again and neither the Army nor the police can find him. The moral implications--that a patient in her charge has committed murder--become more important to Bess than her own future. Accom-panied by her friend Simon Brandon, she heads north to find the missing man herself. Carefully questioning suspicious locals, Bess and Simon follow a trail of clues across England. Drawn into a mystery that seems to grow darker with every discovery, they realize that this man has brought the war home to remote places far from the killing fields of France. But will uncovering the truth put more innocent people in jeopardy?